The McLaren Group says the aim is "to be the best in professional cycling" after signing a deal to become a 50% partner in the Bahrain Merida team. McLaren has a team in Formula 1 and are one of the most famous names in motorsport. The announcement comes on the same day broadcaster Sky said it is to withdraw backing Team Sky at the end of 2019. 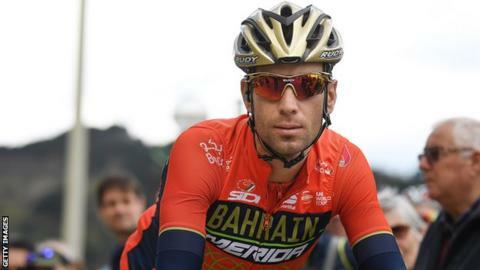 Bahrain Merida was founded in 2017 and has 2014 Tour de France winner Vincenzo Nibali as part of its team. "Cycling is something we have been involved with in the past and have been looking at entering for some time," said McLaren chief marketing officer John Allert. "Racing, technology and human performance are at the heart of everything we do at McLaren."